You're tired of the flare-ups, the pain, and the general feeling of UGH. They cost a bunch of money. And you feel so dependent on them. So now you want to know if there's something out there that's LIKE those pills, but without eating all those things your doctor told you about: berries, fish, leafy green veggies, tea, and this weird thing called turmeric. You've googled some articles, but they sounded all science-y and not practical. Who is going to eat a meal of turmeric powder, with mackerel, and blueberries? To put this all in perspective, a 2018 NIH study stated chronic inflammatory diseases are the most significant cause of death in the world. (NIH is the National Institutes of Health, one of the world’s foremost medical research centers.) Ouch. 30 million or 9.4% of the US population has diabetes. In 2017, 1 in 3 deaths or 800,000 deaths in the US. 43 million or 20% of the population has Arthritis. It’s projected to exceed 60 million by 2020. That's a lot of us, huh? Before we get into all the foods that are naturally anti-inflammatory, let's look at what causes inflammation in the first place, to see how we can get rid of it. You'll see that YOU CAN ABSOLUTELY CONTROL YOUR INFLAMMATION. Wait.. The overwhelming reason why we are messed up is from what we eat. Wow. Joe from kindergarten was right: You are what you eat. NIH research recommends 11 ways to reduce inflammation through what you eat. Eat a low-glycemic diet. Meaning you quit sodas, refined carbs, and fructose corn syrup. Reduce fats. Specifically cut out saturated fat and trans fat. Yep, another oldie but a goodie. Eat more fruits and vegetables. They are high in natural antioxidants. Roger that. We know. Eat Curcumin. Huh? This is that weird turmeric thing again. Where do we even get that? Ha, this is actually pretty easy to get. . If this was all just a review for you, Mr/Ms. Know-it-all, the point of us regurgitating this is for this next fact. With 11 different ways to reduce inflammation through eating..
NIH mentions, in just ONE sentence that exercise helps. 1 vague sentence. Not event something with numbers like, "must run 5 minute miles every day." What that tells us, is that what we eat is much more important than how much we exercise. Music to your ears right? But we're not telling you to quit exercising. Imagine being able to exercise because you don’t feel all swollen and painful. You'll get to feel the rush of those happy endorphins again. Niiiiice. Now let's see what we should do about those things we should eat. No, let's not share mackerel recipes. We're not telling you these are the best ones because they're most effective. We recommend them because they are the most practical. What good is the best anti-inflammatory food if you never eat it? Sounds fancy, but this amazing compound is found in pineapple! You should eat pineapple. If you can much on the core, there's more bromelain in there. 2- The bottomof the pineapple will smell very pineapple-y and sweet. How much to eat: A typical pineapple should last you about 4 servings. First, it can be pronounced either "TER-mer-ic" or "TOO-mer-ic." We're not getting in the middle of this debate. Fun fact though: turmeric is what makes curry yellow! That also means don’t get it on your skin or clothes.. unless want to be Minion-colored for a while. A 1982 study tested curcumin along with other compounds and concluded that turmeric works as advertised to reduce sprains and inflammation. You get this thing at a grocery store like Whole Foods or at an Asian grocery store. It looks like ginger, but much smaller. It's roughly $5/lb and up. Right, it's not cheap. But you only need a couple pounds of it to get started. It tastes like a cross between ginger and a carrot, though it's not spicy or sweet. If anything, it's a little bitter with a slight peppery taste. How much to eat: the size of your pinky is a good estimate. How to eat it: smoothies, cut up into salads, straight up! 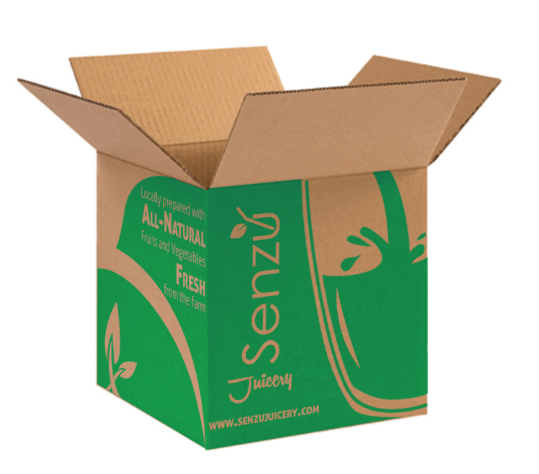 Recover with your own Anti-Inflammatory Juice Box! 10 anti-inflammatory juices made just for you. 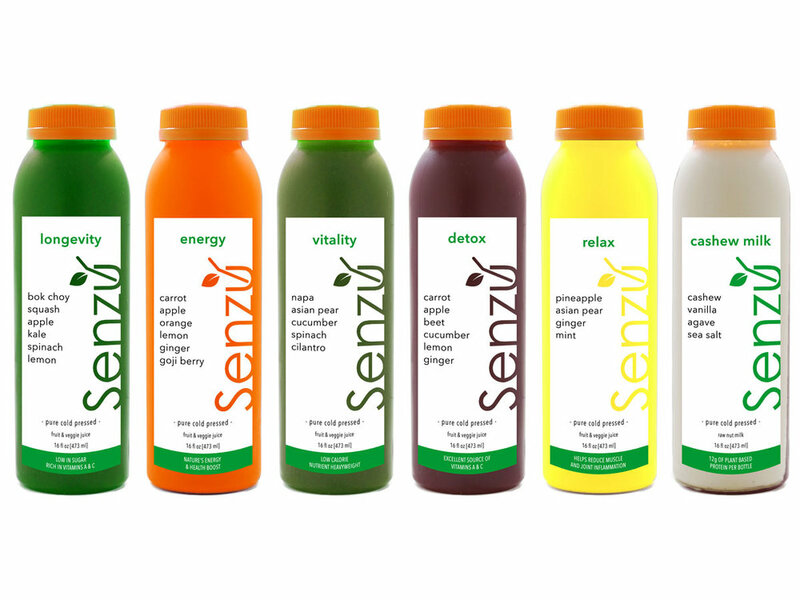 Juices are cold-pressed, completely raw, and 100% pure. $49 delivered cold. No assembly. No work. Just drink. Free priority delivery to your door. 100% Risk Free Trial. Satisfaction Guaranteed. You knew this would be on the list. Leafy greens are readily available and are amazing sources of antioxidants. We won't belabor the proof. The research is overwhelming and endless. But of ALL the leafy greens you could eat, which one is the best bang for your buck? For those of you veggies haters, this is like a cheat-sheet of what you can get away eating less of. Check this out if you have a couple minutes. For example, kale is only about half as nutrient dense as napa cabbage. So if you ate just one bite of napa, you'd get twice the amount of nutrients as you would kale. We have an entire article dedicated to it. It's that good. How to get it: You should really check out an Asian grocery store for greens. You can get veggies like watercress and napa cabbage readily. How much to eat: You should eat 6 cups of raw veggies a day (3 if cooked). Ok, so we're going to cheat here. You might like this answer. We're all about being practical, so we're not going to tell you to cut anything. That doesn’t mean free reign on all that junk food. Your goal is to REDUCE the amount of gunk you're eating and drastically OVERLOAD with the good stuff. That way, you're netting benefits each day, rather than building up inflammation. Skip half the sugar packets in your morning coffee. Dump a pinky finger's worth of anti-inflammatory turmeric in your smoothie. Instead of two slices of that meat lover's pizza, make it one slice of Hawaiian, so you get that anti-inflammatory pineapple bromelain. Eat a fresh pineapple bowl (those ones at grocery stores). Pig out like you usually do, but skip that dessert or (undoubtedly sugary/carb-y) late night snack. Add in that ridiculously overpowered veggie: watercress or napa cabbage. If you end up quitting FAT, SUGAR, or CARB, then congratulations. That would make your naturally anti-inflammatory diet so much more powerful (and effective). Uh.. Can You Summarize All That? Chronic inflammation doesn’t need to be debilitating. Sure, it seems like an uphill battle right now. Popping pills may have worked for you before, but you know pills aren't ideal. The last thing you imagined was a pill cocktail everyday. You're curious about a natural anti-inflammatory diet, because you know what you eat is much more important than how much you exercise. Now, you're armed with 3 EASY, naturally anti-inflammatory foods to get better FAST. How quickly and by how much depend on how often you eat the good stuff. And cutting down on the terrible foods containing: Fat, Refined Sugars, and Refined Carbs.